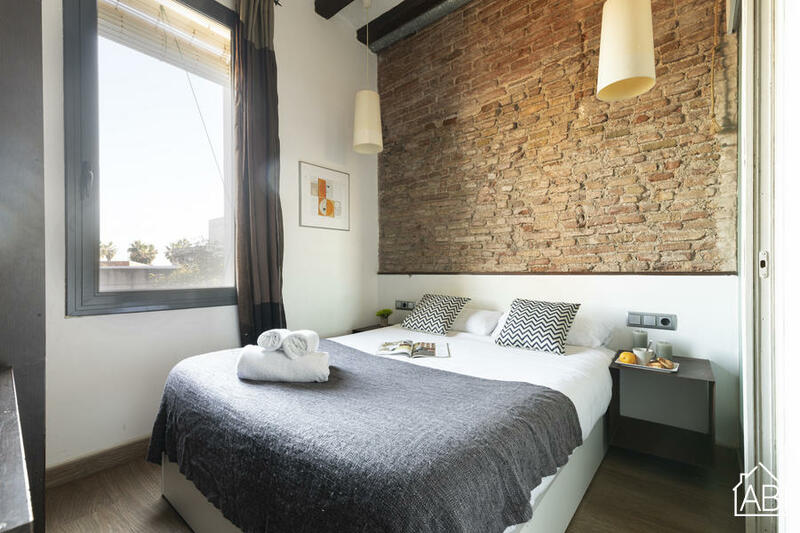 This rustic studio apartment in Barceloneta is ideally located close to the beaches as well as downtown Barcelona. This apartment can accommodate up to two people. A mixture of modern and classic elements such as original ceiling beams, exposed brick walls and parquet flooring will make you feel right at home. The living room has a comfortable sofa and a TV, where you can relax at the end of the day. The kitchen area is compact but modern and fully equipped with a full electric oven, two-station stove, microwave, dishwasher, and fridge. Pots, pans, glasses, crockery, and cutlery are all provided as well. The bedroom has a double bed, with a wardrobe and bedside table. The bathroom has a walk-in shower. This apartment, complete with heaters and an Internet connection, is the perfect Barcelona living space.